Your smartphone's emergency alerts are getting an upgrade. The FCC voted Thursday to allow texts sent through the wireless emergency system to include links to pictures, maps and phone numbers. It's a significant improvement for the four-year-old system, which allows authorities to ping phones to alert people to severe weather, missing children and other danger. The agency also voted to allow longer messages -- 360 characters, up from 90 -- and to require wireless providers to support Spanish-language alerts. Wireless carriers will be allowed to support embedded links later this year. They'll be required to next year. 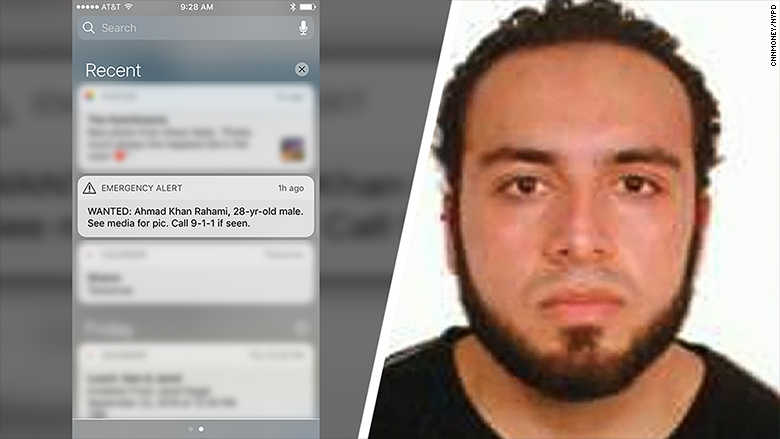 The system's limits were on display last week when millions of New Yorkers received a text alert seeking information on Ahmad Khan Rahami, suspected in bombings in New York and New Jersey. "See media for pic," the alert said. Emergency alerts still won't include embedded photos, but commissioners said they're open to the idea. "Vague directives in text about where to find more information about a suspect, just as we saw in New York, are not good enough," said Jessica Rosenworcel, an FCC commissioner. "As we move into the 5G future, we need to ensure that multimedia is available in all of our alert messages." Not everyone was so sure. Michael O'Rielly, another commissioner, said adding links and multimedia could jam cell networks during emergencies. The FCC also raised concerns in a report last year about how much data it would take to send multimedia alerts and whether they could drain battery life on phones.